Another brand I've been introduced to this year is Skin Chemists*, the first product I reviewed was their Venom face mask which you can read about here. 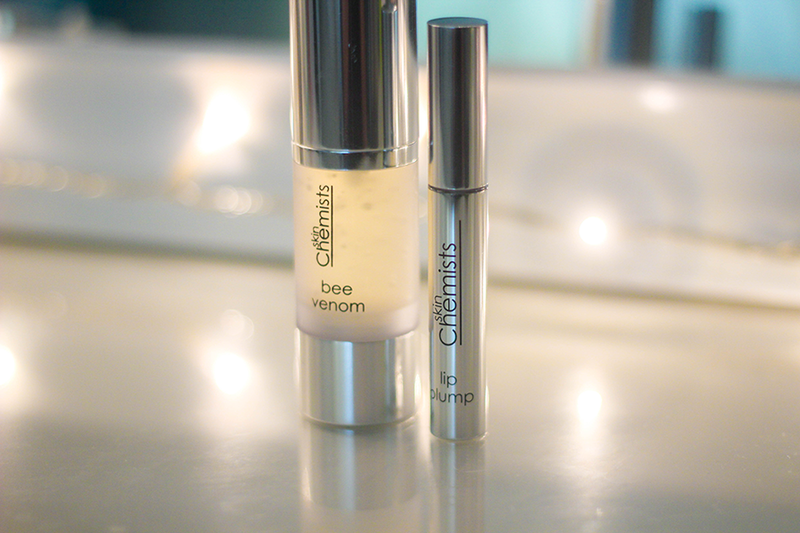 This year I started to use serums and constantly now use them in my routine, a new one I've been using is this Bee Venom Face Serum, with such ingredients as honey, nettle, horsetail, & watercress that are there to help anti-ageing (wrinkles, fine lines) even skin tone and shrink pores & also antioxidants. Serums I find no matter what ones always is less is more, I find this one is quite drying & tight as it begins to absorb in the skin so moisturiser is necessary afterwards. In terms of improvement to skin, I never had wrinkles or fine lines before but even skin tone is something I battle with a lot if my spots decided to turn vicious and scar. I'm using this in conjunction with my other even skin tone products and so far the scarring is getting a bit lighter - not as quickly as I'd love. That's more my impatience than anything. Guess my lips are plump enough as honestly I couldn't see much of a difference, I'd love plumper lips - yes that's right I would love plumper lips. I find this lip plump gives more of a fuller dimension when applied, almost as there are some light reflectors giving an impression of larger lips, there was a very slight tingling sensation. Not unbearable as it goes as quickly as it comes. I wouldn't purchase this as I suppose it's something I don't need but if you'd like plumper lips you could give it a go.